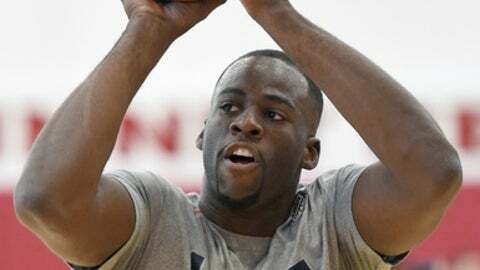 EAST LANSING, Mich. (AP) Lawyers say Golden State Warriors star Draymond Green will pay $560 for a noise violation in a deal that gets rid of a misdemeanor assault-and-battery charge in East Lansing, Michigan. David Meyers, an attorney for the city, says the noise violation is not a criminal charge so no guilty plea is required. Green's attorney, James Heos, said Friday it's akin to a parking ticket. Green was accused of striking a Michigan State football player in the face on July 10 outside a restaurant near campus. Police say they witnessed the incident. Heos says Green was defending himself. Meyers says Green got no special treatment in the deal. Green is a former Michigan State star who is playing for the U.S. basketball team in the Olympics that begins next month.